From then on they were known as “Pink Panther” muffins to us, and they became one of our favorite Saturday morning breakfasts. Not only did we enjoy the muffins while watching “Pink Panther”, but we also enjoyed them while watching “The Flintstones”, “Scooby Doo”, “Land of the Lost”, and all the other Saturday morning cartoons and kids' shows. I used to love everything about those Saturday mornings. Well, except maybe the Sleestack from "Land of the Lost". They gave me nightmares! Cinnamon buttermilk muffins flavored with freshly grated nutmeg. 1. Preheat oven to 350°F and grease, spray, or butter standard muffin cups.2. Beat butter and sugar together until light and fluffy; add egg and continue to beat until well combined. 3. In a separate bowl combine the flour, baking powder, baking soda, salt, and nutmeg.4. Add the dry ingredients alternately with the buttermilk and vanilla; stir until just combined.5. Fill muffin cups 3/4 full.6. Bake for 20 - 25 minutes or until muffins are lightly browned and a toothpick inserted in the center comes out clean.7. Place muffin pan on a wire rack and cool for 5 minutes; remove muffins by gently twisting out of pan then let muffins cool until they can easily be handled.8. Make topping by combining the sugar and cinnamon in a shallow bowl or custard cup; put melted butter into another shallow bowl or custard cup.9. Hold the bottom of muffin and dip into melted butter; twist to coat top of muffin evenly.10. 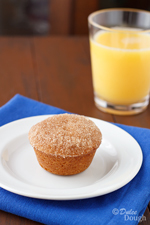 Immediately dip muffin into sugar-cinnamon mixture and coat top of muffin evenly; gently tap muffin to remove extra sugar. 11. Repeat with remaining muffins then allow muffins to cool completely before serving. Recipe adapted from The Williams-Sonoma Collection: Muffins by Beth Hensperger. These look brilliant, Jill. I love the texture that buttermilk gives. These sound perfect! I love using buttermilk in muffins! 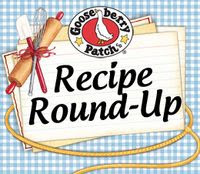 This recipe sounds like a keeper... love that sugary top! i want a Pink Panther muffin too! "Pink Panther" muffins are awesome. I think I would've called them "Power Ranger" muffins though since that was my favorite Saturday morning TV show. Sometimes I just crave a simple muffin like this...perfect! I love the name Pink Panther muffins! Love muffins! These look soft and wonderful. Love how you guys got the name! These look incredible! That cinnamon topping is to die for! I so miss the days of Saturday morning cartoons! It was such a great calm family time on a lazy Saturday. Now it just seems like we're all too busy to slow down long enough to watch them! Mmmm, those look amazing, so soft and fluffy! And I love cinnamon sugar. I would eat it by the spoonful if I could! I love buttermilk in muffins makes them so moist! I love how you guys came up with the name for the muffin totally something we all do as kids and our kids do to us lol. What a wonderful story from your childhood. That muffin is so picturesque, and I love the sweet-and-spicy flavors that are part of the ingredients. Kudos! That muffin looks good enough to eat! (Wish I could!) YUM! This is such a sweet memory! Your muffins look very good, I'll have to make a batch, as I'm a muffin addict! I bet these taste very close to a cinnamon cake donut. No wonder they were a winner. Oh those cartoons bring back so many memories. They look like my favorite donut muffins. Yum! The cinnamon sugar topping just can't be beat. This recipe only makes 9 muffins? I just want to double check since I'm thinking about making these for our church breakfast, but if it only makes 9 I would have to triple the recipe. Oh my goodness that is SO something my kindergarten boy would love.